This book offers a tailored and holistic programme for anyone who suffers from high blood pressure, distinguishing between three core types of hypertension: stress type, abdominal type, and chaos type. Conventional treatments for high blood pressure often fail. Around half of patients who are prescribed medicines stop taking them, often because their doctor hasn't taken a holistic view of the patient's needs and life situation. Other patients feel there is no alternative to a life-long course of pills. This book offers another way. 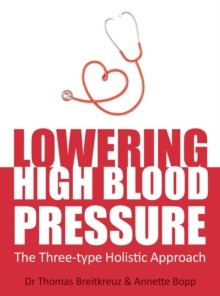 The authors, including an experienced physician, want to empower the reader to identify which of the three core types of high blood pressure they have. They then outline tailor-made therapeutic programmes to care for body and soul, including nutrition, exercise and anthroposophical therapies to suit each type. The book includes real-life case studies which also demonstrate the huge difference that this holistic approach can make.